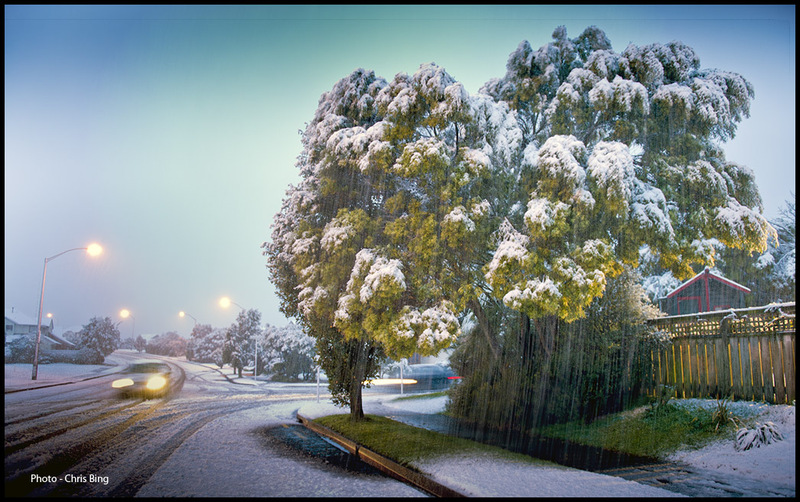 Man Behind Lens: Let It Snow, Let It Snow! 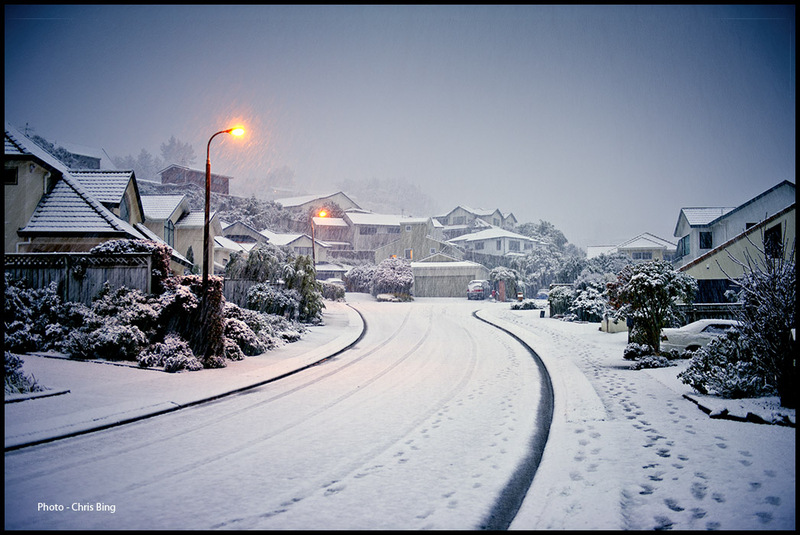 This is what it look like outside our house in Karori at 5.15 pm! 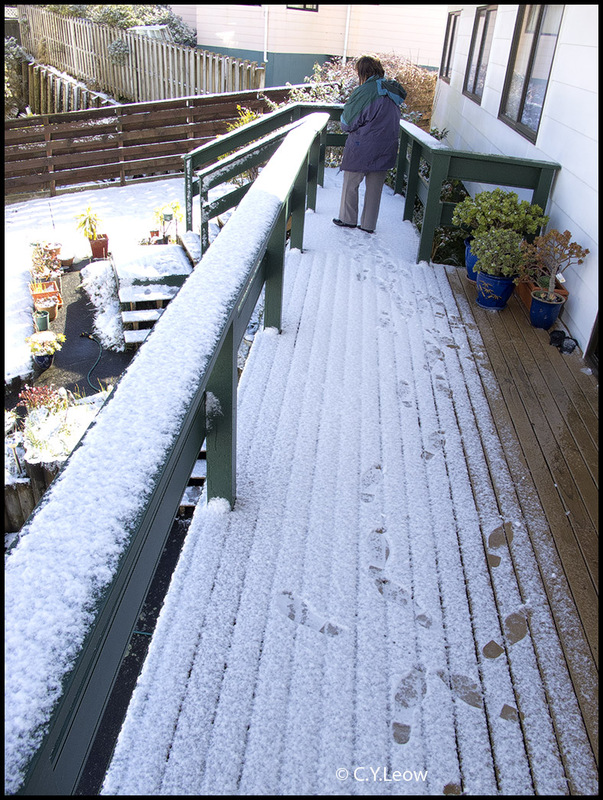 What our deck look like the next day, Monday afternoon; more snow! 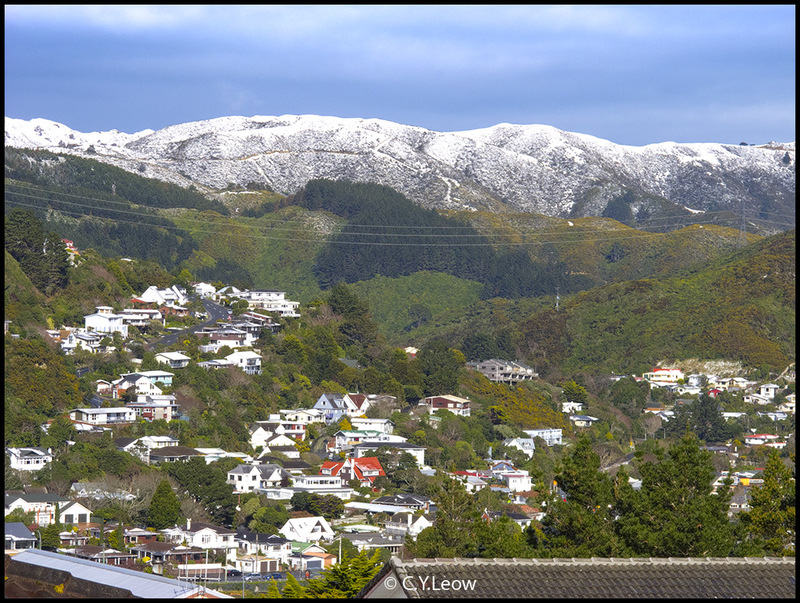 The hill that shield Karori valley, since 1988 when we are here; we never seen it white with snow. "Got Home just in time at 5pm. The car was slipping up our drive. Any further delay would have made it difficult to get home. 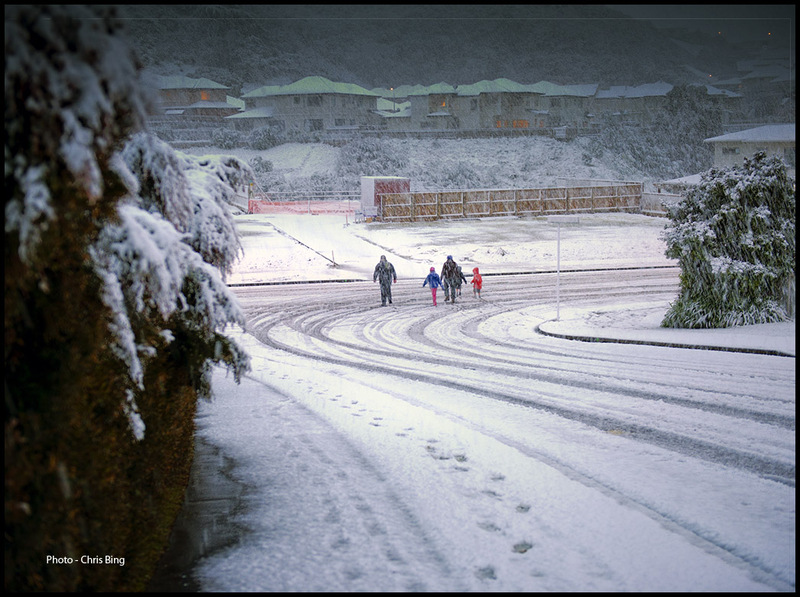 This is the first time it has snowed in Churton Park, as far as I know. The kids wanted to play. I yelled at them to go and do their home work. Then I thought "what the heck" and got the camera out, put a rain protector over the camera, mounted the tripod. put on my fingerless gloves, rain coat, boots and off I went into the wild side! Sure was cold. minus 3 c I think. But hey when would it snow again (the weather forecast said tomorrow....). Enjoy the photos from the warmth of your room. 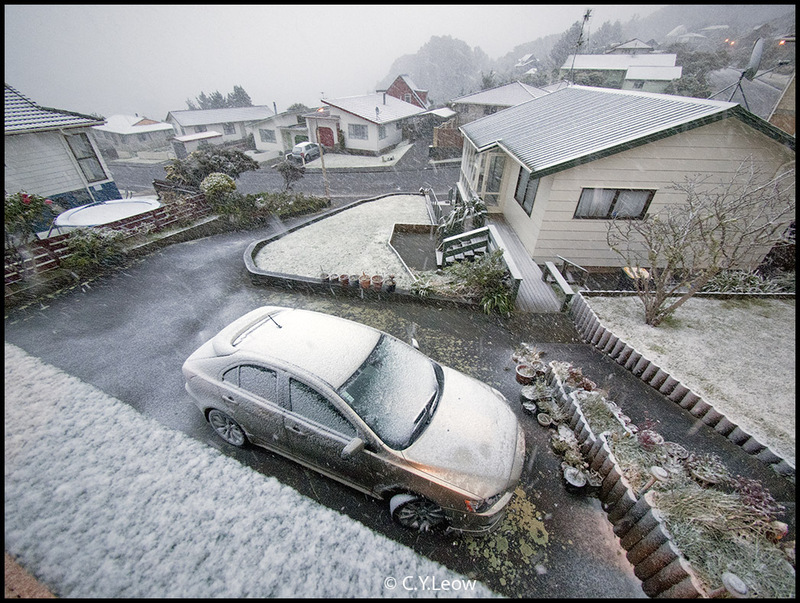 Here are his shots of snow in Churton Park, nice! 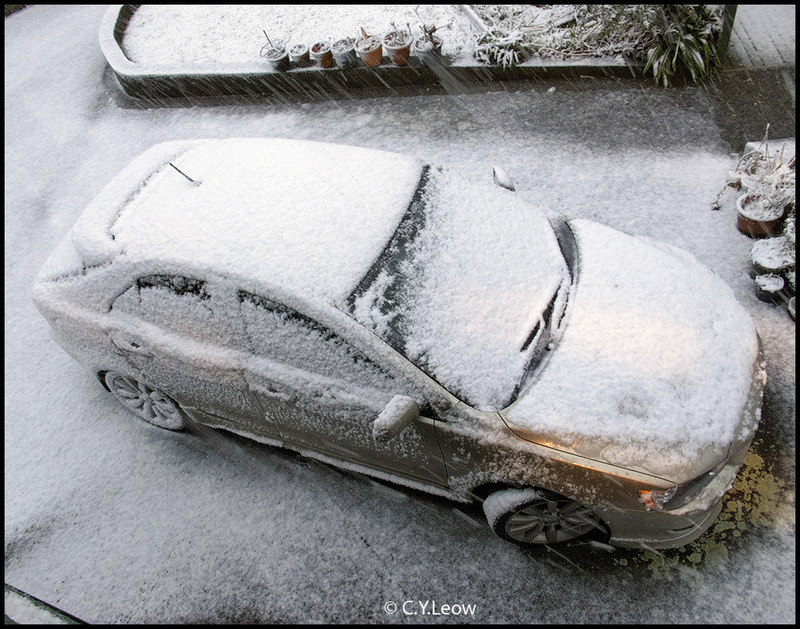 When shooting snow scene, remember to INCREASE your exposure one to two stops; failing which, your snow will look grey and not white! 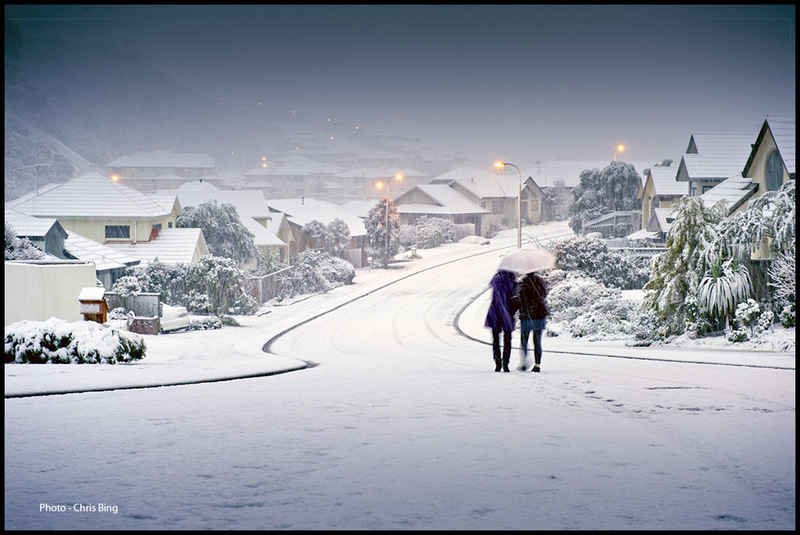 Most point and shoot came with a "snow mode", this can be very helpful when you photograph a snow scene. For me, I use the oldest trick in exposure calculating; I point my camera at my left palm and take a reading! Strange but true, to the exposure meter; all palms look like an 18% grey card and a reading from that work for almost every scene! I think this will be once in a lifetime for Wellingtonians! 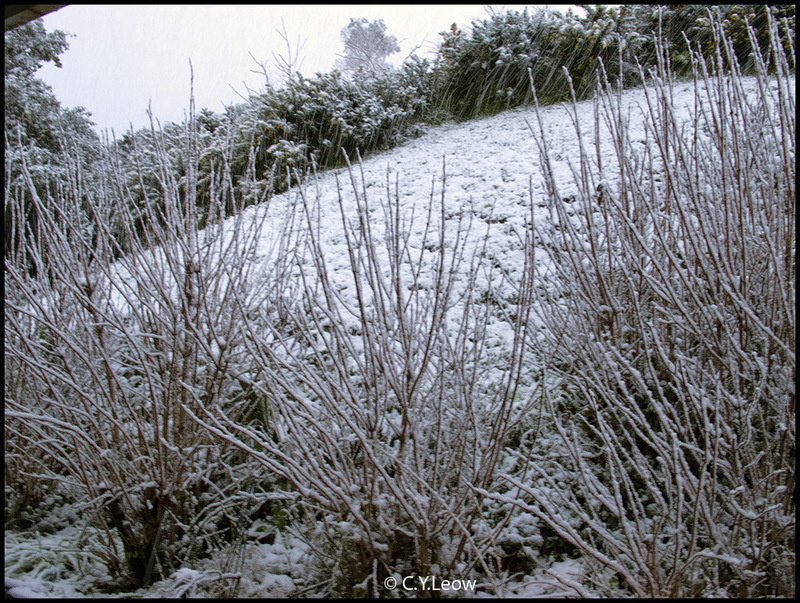 We went to Arthur`s Pass, expecting to see some snow falling,, but alas.. none!We came home to falling snow! How crazy is that!?!? LOL.